The rather unusual-looking craft would be especially handy for military applications. Its extremely low heat signature would make it difficult to detect in the air, and the fact that it’s whisper quiet doesn’t hurt, either. In fact, because it’s so quiet similar technology may be used for commercial transportation in the future. The lack of loud, emissions-heavy aircraft engines would mean that airports could be situated closer to city centers and even residential areas. 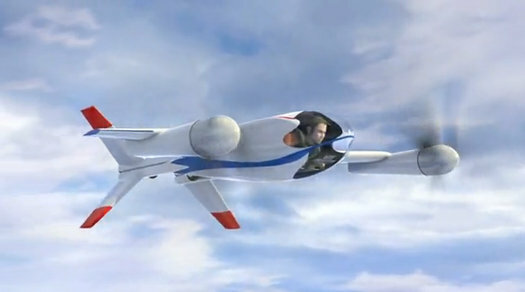 And if we can’t have personal jet packs, then personal aircraft would be the next best thing. have you seen the way people drive? Do you really want that in 3D??? "The Puffin: A Personal Aircraft"